Stand guard against email attacks today. And tomorrow. 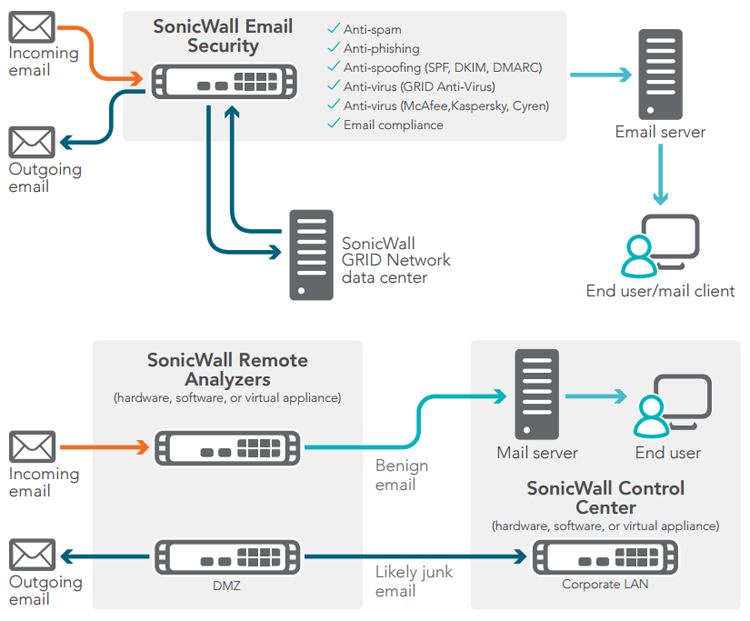 SonicWALL Email Security is available as a virtual appliance or as a software application, and is ideal for organizations that require the flexibility and agility that come with virtualization. SMBs, enterprises or MSPs can leverage their shared computing resources to optimize utilization, ease migration and reduce costs. 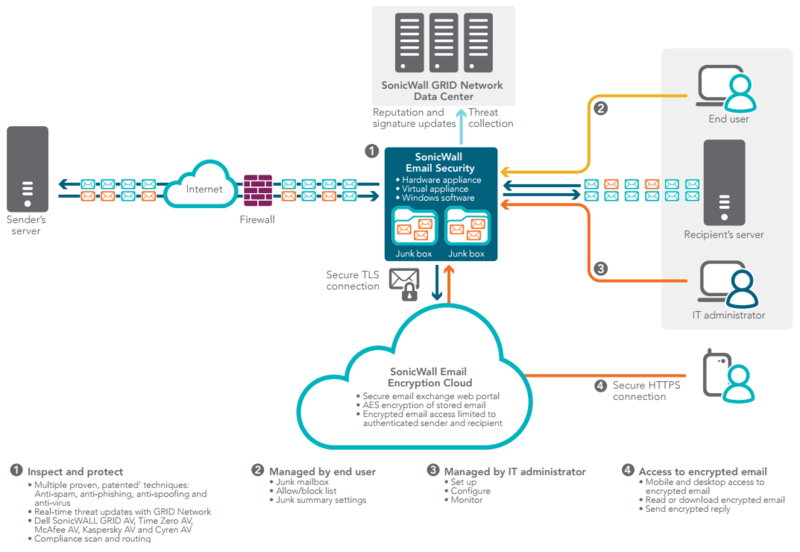 SonicWALL Email Security can be configured for high availability in split mode, to centrally and reliably manage large-scale deployments.